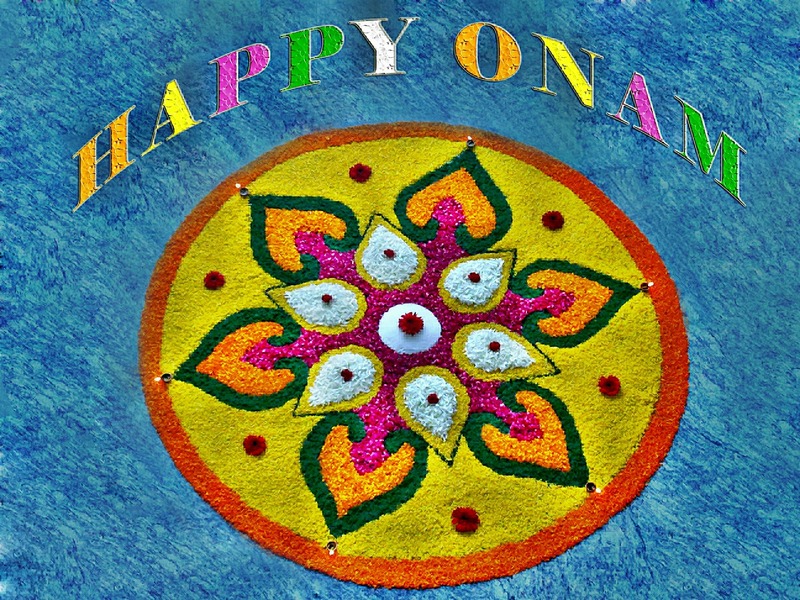 Onam is the harvest season of Kerala which is celebrated with high fervour and excitement. It is celebrated amongst the Malayalee Diaspora in the entire world. The festival is celebrated with a lot of grandeur and can also be called as the homecoming of ‘Mahaballi’. It celebrates the prosperity and culture of Kerala, and also centers around the tale of ‘Mahabelli’ and ‘Vamana’. The tale tells about how the latter conquers the earth, sky, and ‘Mahabelli'(who is sent to hell) himself in just 3 footsteps. Although being sent to hell, the king wishes to visit Kerala on a particular day, which is known as Onam today. 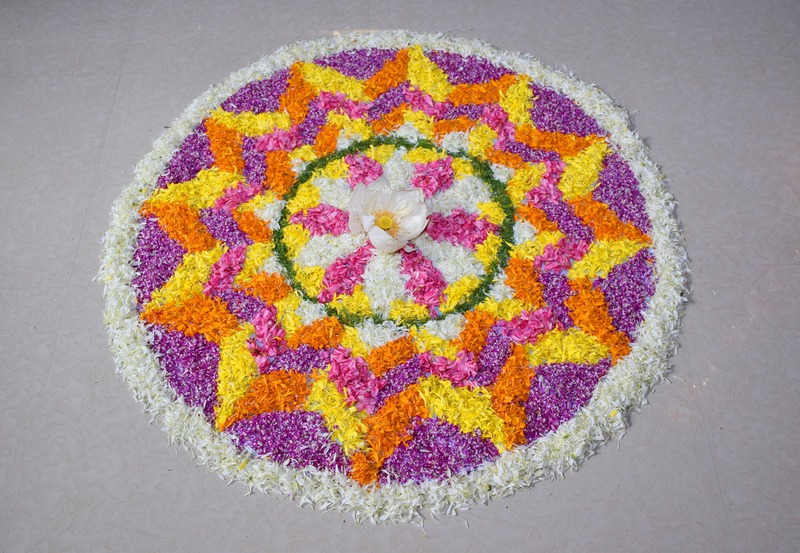 Dozens of traditions are practiced for Onam, like ‘Pookalam’ (flower arrangement), ‘Vallam Kali’ (boat race), and ‘Puli Kali’ (tiger dance). However, ‘Pookalam’ is the most prominent when it comes to the season, and the size and complexity of the flower arrangement gradualy increases in 10 days. The boat race is witnessed most commonly in Alapuzha, and people from different parts ok Kerala join in to watch the enthralling boat race. These days, various organizations and informal groups organize events and games for Onam which gives a memory of a lifetime. Floral swings are fixed to add a playful yet decorative element to the whole festival. The beautiful women of Kerala are witnessed in the famous ‘Kasavu Saree’ while the men adorn themselves in ‘Kasavu Mundu and Kurtas’. After a tiring day of celebrations, the festival is completed by noon after a delicious Sadya. 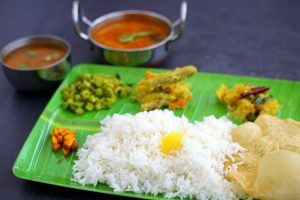 ‘Sadya’ is nothing but the assortment of various Onam delicacies along with rice on a banana leaf, and the flavours vary from being sweet to spicy. The ‘Sadya’ is completed with a dessert called ‘Payasam’ to give a sweet end note to the day. This Onam, Masala Box is all set to deliver you the perfect homemade ‘Sadya’. Get bulk Sadyas to have a splendid Onam this year. Call +917899854646 /+917899857746 or order from the website now. Chicken biriyani is quite famous amongst Indians! But Malabar biriyani stands out for its very unique blend of spices and flavour. 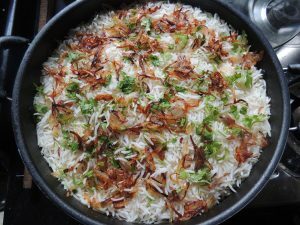 Using mostly chicken, this biriyani is the most common amongst people from the beautiful district of Kozhikode, and is the first thing in this list of top 5 Kerala dishes that you must try. A soft piece of ‘puttu’ along with some hot flavorful ‘Kadala curry’, is the most wanted breakfast in the stunning land of Kerala. ‘Kadala’ refers to Bengal gram or chickpeas, and is mostly prepared in a spicy and aromatic gravy made of coconut milk. Although ‘puttu’ or rice cake can be eaten with banana and sugar (for those who have a sweet tooth), it is more amazing when eaten with the curry. ‘Sadya’ is extremely unique to South India, especially to Kerala. 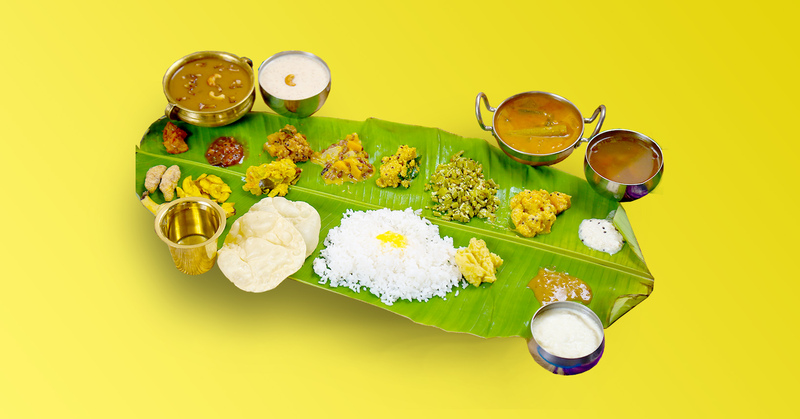 With a beautiful plethora of dishes spread on a banana leaf, ‘Sadya’ consists of rice and a variety of side dishes and curries like sambar, pickle, pappad etc. and is quite exotic in terms of flavour and presentation. What makes it unique is that every dish has a fixed place and no matter what the position is not meant to be changed. 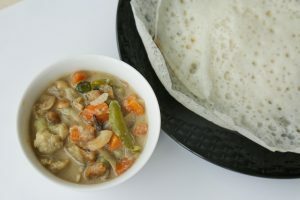 Appam is a pancake made out of fermented rice powder and coconut milk. It is usually thin at the edges and made thick at the centre like a dome. The most common side dish is egg roast while we also eat it with veg stew, ‘kadala’ curry, chicken stew etc. The famous ‘Semya payasam’ of Kerala will be a party in your mouth if you have a sweet tooth. ‘Payasam’ refers to a dessert which is liquid and the key ingredient is mostly milk. ‘Semya’ refers to vermicelli and it is cooked in a broth of milk, sugar, condensed milk and is garnished with fried cashews, raisins, and butter. 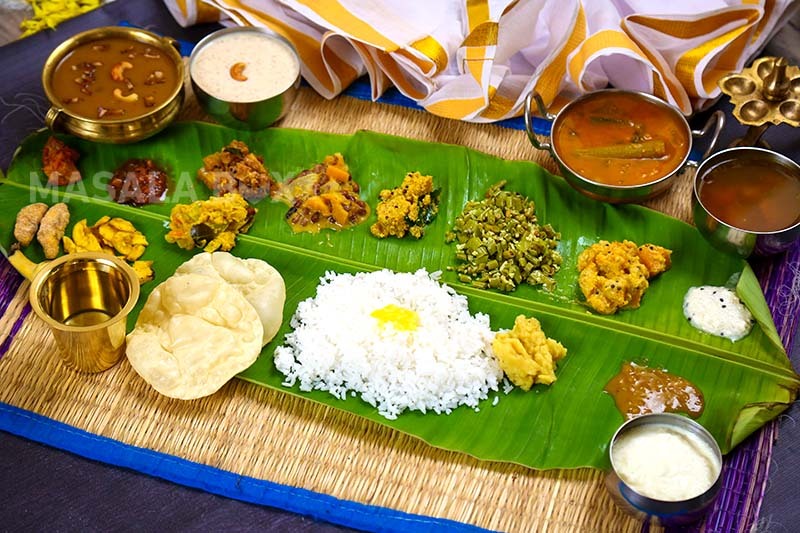 This list of the top 5 Kerala dishes is a must try if you are ever in Kerala. Looks like your tummy is growling with hunger! Add a ‘ payasam’ to your meal only with Masala Box.